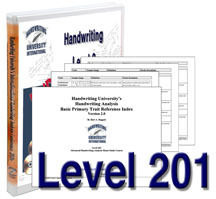 Catalog – Handwriting University: Learn Handwriting Analysis and Graphology. 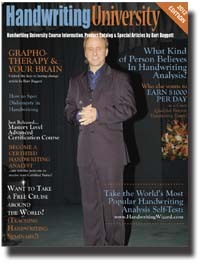 BECOME CERTIFIED IN HANDWRITING ANALYSIS & BUILD A CAREER HELPING PEOPLE… Basic and Mastery Certificates now available. 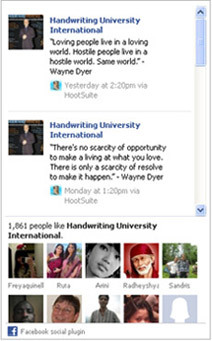 As you know, Handwriting University International has programs in various formats for different learning styles. We publish CDs, MP3s, DVDs, Grapho-Deck flash cards, books, workbooks, and of course 100% online programs for you to watch, listen, and learn entirely from your computer or download the audio to your MP3 player. Below are the courses which are currently available and fully accessible inside the “locked areas” of this Membership Website. 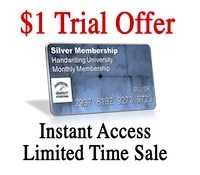 You can become a member for as little as FREE (Basic Membership) up to $3000 (Master’s Level Certification Course). If the program you are thinking about investing in is not listed below or you have questions… contact our office to discover which program is best for you… or get instant access using our manual customer support option. Remember. 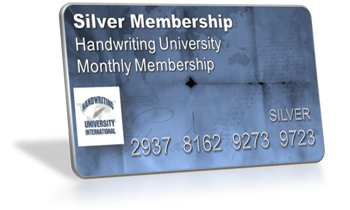 Unlike any other home study course or online training… Handwriting University has a no-questions-asked 100% money back satisfaction guarantee program. Enroll with confidence. 1-310-684-3489. Also, you can contact a local trainer from India, South Africa, to USA and Canada. Just see the Authorized Trainer here and call them directly to enroll and get personal local support and training. 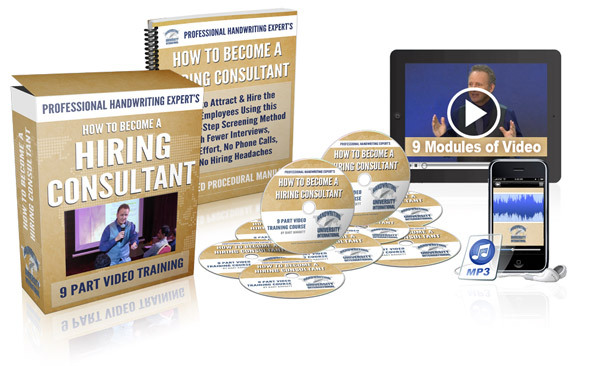 Level 101 Handwriting Analysis Starter Kit – Our Best Selling Course! 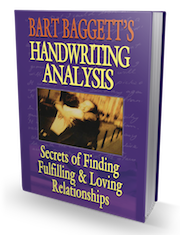 Best Selling Beginner’s Handwriting Analysis Video/Audio Home Study Course which includes the 101 book, 101 Audio Book, Quick Reference Guide for Beginners, Emotional Gauge, the Grapho-Deck Flash Cards (download in PDF format, print, cut). Audio book, audio class recordings, and 10 video trainings (online access.) This course covers all the basics and you avoid paying shipping and handling charges because it’s 100% online. Just Some of the Traits covered: aggressiveness, analytical thinker, blind persistence, blunt / frankness, cautious, defiance, deliberateness, desire for attention, desire for culture, desire for responsibility, desire to be different, determination, diplomacy, dominant, domineering, dreamer, dual personality, enthusiasm, exaggeration, exclusiveness, fear of intimacy, fear of success, fluidity of thought, irritability, jealousy, low self-esteem, loyalty, narrow minded, paranoia, pathological liar, perfectionist, persistence, philosophically closed, procrastination resentment / anger, sarcasm, self-confidence / ego, self-conscious self-control, sense of humor, sensitive to criticism, sexual imagination, shallow thinker, strong physical drive, stubborn, talkative, teenage y, temper, willpower, and so much more (all emotional slants in handwriting are covered). On Sale now for just $97 for current active members. We recommend you take the 101 course first. This course comes as part of the 301 Certification Course. (This is a $2000 Value and this month this course is on sale.) Save big by accessing the course entirely online and get bonus items when you enroll with a private mentor so you can get certified in 6-12 months, guaranteed. (Click Here For a Course Overview which gives you instant online access and some items shipped to your door) All new 2017 course now unlocked for all new students and past students can upgrade for as little as $0, for recently enrolled students. Call our USA office. This month’s online digital only sale price:$ Just 1499 one time payment or $2700 with one-on-one tutoring. Your choice. $1499 / Instant Access and material shipped to your door. Call for details and other enrollment options at 310-684-3489 . If you already own the 101 , simply use this call our office or one of our International Authorized Mentors to upgrade into the Certification Course. If you work with a mentor directly, they have the ability to give you special bonuses which are not listed here and one-on-one tutoring. *This course can now be financed in three equal payments when you enroll with a mentor or have one assigned to you. See the shopping cart upon checkout. Call with questions 310-684-3489. You can purchase this course through one of our Authorized Trainers in cities worldwide and get direct one-on-one mentoring via Skype or in person. This brand module is unlocked as a free bonus with all new 401 enrollments. 401 Beginner’s Speaker training. Not $2000. It’s included. Level 401 (Marketing for Professionals) How to Earn $100 – $500 Per Hour or More Professional Marketing Training Course. 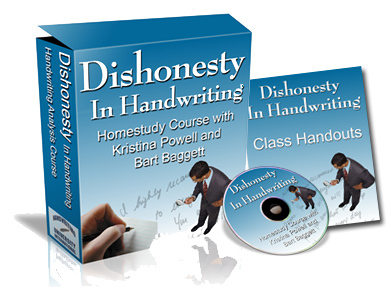 This is recommended for anyone thinking about making a profession out of handwriting analysis. The 401 Marketing System includes Grapho 2.0 Software and all reprint rights to flyers and press releases, the Beginner’s Speaker Program, and Hiring Consultant’s Training Program. We also recommend the Marketing Mastermind program which includes live webinars and tele-classes with as part of our comprehensive Professional Business Training. Whether you are an Authorized Trainer with handwriting University or you are an speaker, author, coach, author or counselor. This program will help you get more clients and become your own in-house marketing department for your services. Attract more clients, now. View Video about the Marketing Mastermind program here. Enroll into the Marketing Mastermind and get the business guidance you need to succeed. A comprehensive self-help book which combines the best of handwriting, Grapho-therapy, NLP, timeline therapy, health, and spirituality. Now published & distributed in 15 countries. Want to read this on your Kindle? If so, visit the site below and purchase from Amazon’s Kindle store. This new “autograph” course is a breakthrough from two of the world’s leading handwriting experts from Australia and America. 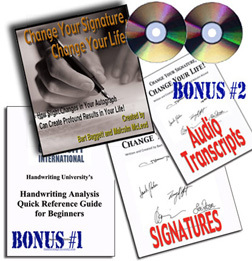 Discover slight changes in your signature, that can change your life. Secrets of Finding Fulfilling & Loving Relationships (Digital PDF Book). This is the most comprehensive handwriting/NLP book available, designed for a person to easily utilize these tools to improve their relationships or find their perfect mate. Includes a complete trait dictionary and lists the 10 hell traits. (Read more information here). Place your order via telephone or online.